Taking inspiration from a traditional margarita, we’ve added some salt to the glass rim to make a deliciously short and fruity Bloody Mary. 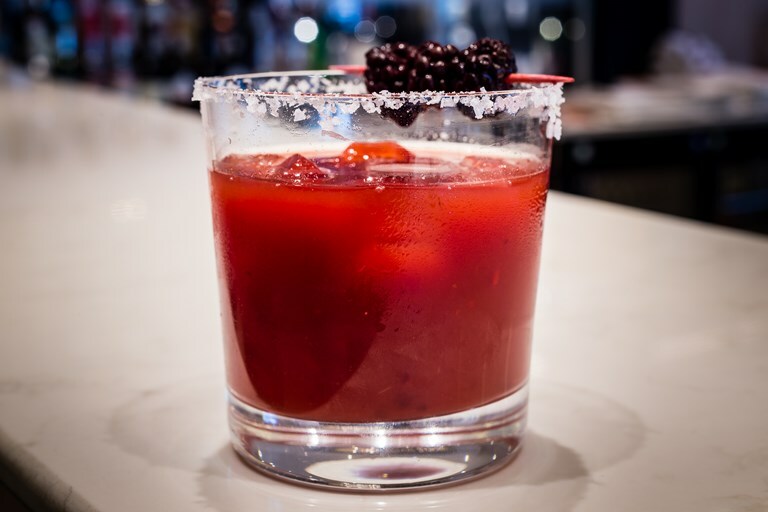 The blackberries add some sharpness, alongside a twist of lime too. The foodie minds behind the menu of Heathrow's The Gorgeous Kitchen restaurant have come up with some fantastic variations on the traditional Bloody Mary cocktail recipe, to help kickstart your day, and your travels. Based around the the classic combination of tomato and vodka, this fruity version of a Bloody Mary is easy to knock up at home, and would work well with a decadent French toast or pancake brunch, with berries and Greek yoghurt to cut through the spice from the chilli.